As many readers would know Sunday is market day for Brooke and I. Each Sunday we venture to South Melbourne markets to do the weekly grocery shop. Brooke is a woman on a mission when doing the grocery shop, methodically checking the items off the list, whereas I’m frequently straying from the plan. This Sunday Brooke turned around to see me holding not one but 2 whole pineapples (which, were not on the list). Pre-empting the question coming my way I said, “I’m going to make a banana pineapple smoothie”. On the ride home, I now needed to back that audacious statement up so I Googled healthy banana pineapple smoothie recipe. To my surprise, I couldn’t find any, which appealed so I decided to make a hybrid of a couple I had read. This is a quick and tasty way to start your morning. 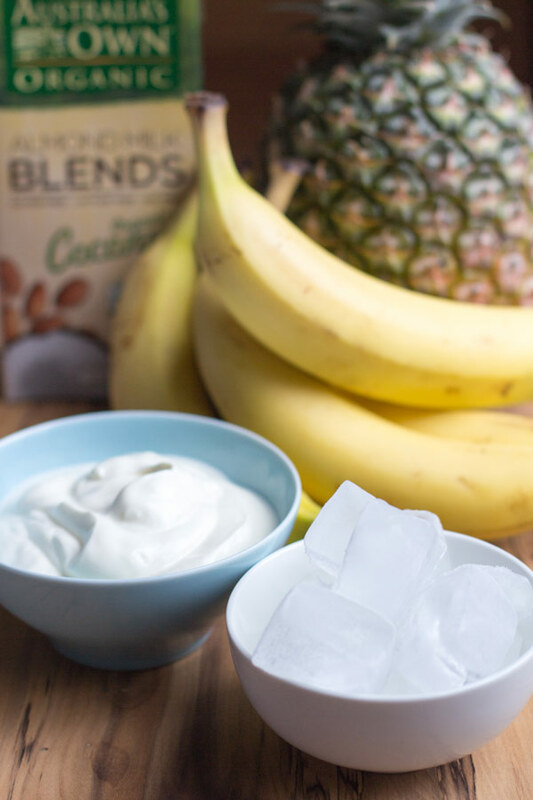 Simply combine your 4 ingredients, fresh pineapple, half a banana, half a cup of Greek yogurt, and 1 cup of Almond coconut milk (either plain almond or coconut milk will also work). Add half a cup of ice and blend for 60 seconds and your tropical banana pineapple smoothie is ready to drink. 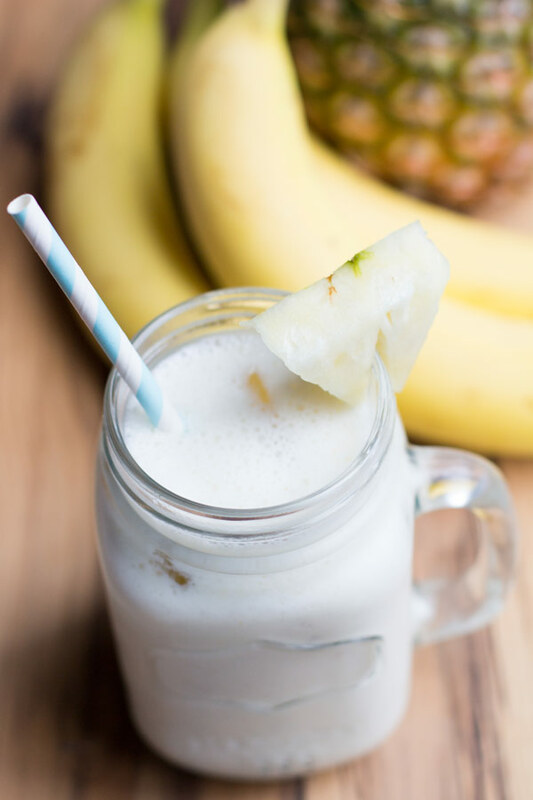 With no added sugar this sweet and tangy banana pineapple smoothie recipe is secretly healthy! Looking for more great smoothie recipes then check out our healthy purple smoothie or our kale smoothie. 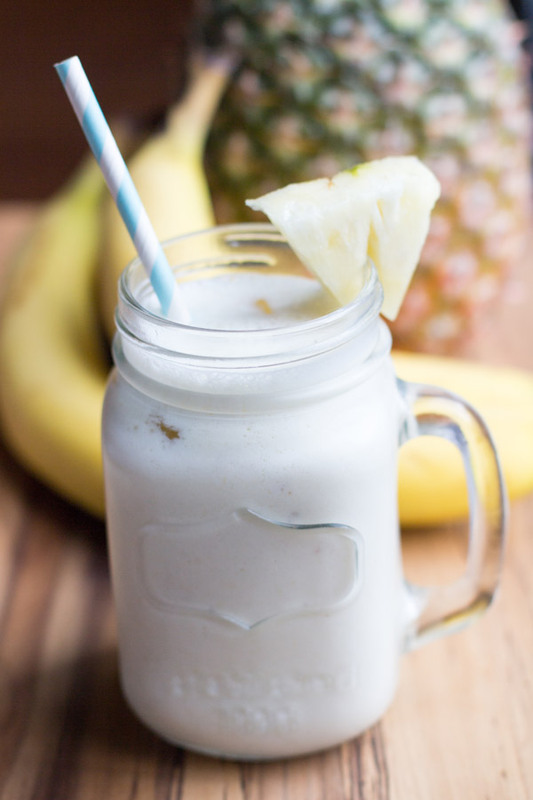 With no added sugar this sweet and tangy banana pineapple smoothie is secretly healthy! 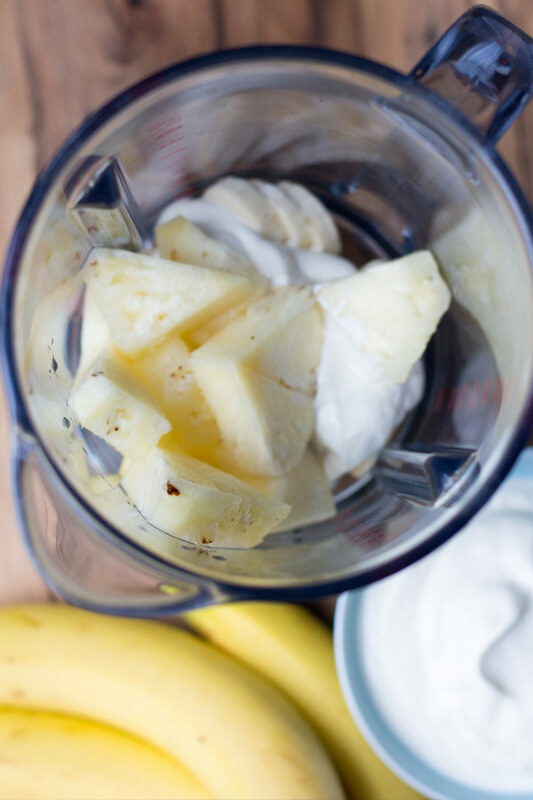 Add fresh pineapple, banana, Greek yogurt and ice to the blender. Add 1 cup of the almond and coconut milk. Pulse until mixture is smooth. Pour into a glass and drink your refreshing tropical smoothie! *DAIRY FREE OPTION: Leave out the yogurt.